such as the elimination of height adjustment. 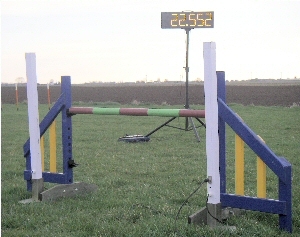 K9 Times large, high visibility ringside timing display is now available for hire. Suitable for both indoor or outdoor rings, the display is a great feature for encouraging spectator excitement, and as such is specifically recommended for use at finals or championship events.